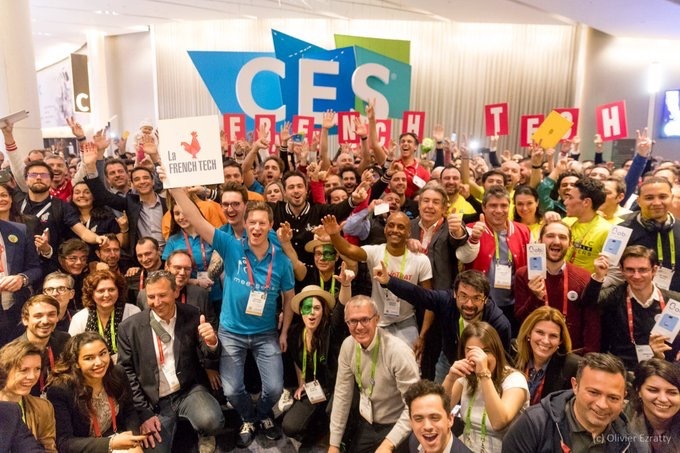 CES 2019: French Tech Startups Are Taking Over the Eureka Park – French Treasury in the U.S. The latest edition of CES Las Vegas (one of the largest international trade shows focused on technology) demonstrated industry enthusiasm and lived up to business expectations regarding recent technological advances in artificial intelligence and 5G connectivity, the two major themes of CES 2018. Smart, connected devices and IoT (autonomous vehicles, virtual assistants, wearables, etc.) dominated a show that increasingly hosts companies positioned in B2B markets (smart cities solutions, precision agriculture with drones, biotechnology for hospitals, etc.). In spite of showcasing various tech industries, CES has become in recent years a major North American auto show, outperforming the Detroit auto show, according to Business France North America. Finally, screens (Samsung’s foldable smartphones, LG’s roll-up OLED TV) have caught the public’s attention this year. When it comes to French attendance, the number of participating French startups has reached a record number of more than 420, mainly present at Eureka Park (the CES space dedicated to startups). The startups came from all over France, thanks to the support of several French regional councils. The French Tech Pavilion was a must-see, the largest and most directly accessible, located right at the entrance of the Eureka Park. The two dominant sectors were health (biotech) and smart homes. Fifty-seven French companies have received CES Innovation Awards and the startups Beenlife and Snips won the Best of Innovation Awards. The French Atomic Energy Commission (CEA) also had a dedicated pavilion to present startups supported by the institution. Some French global companies, like Dassault Systèmes, offered a space for French startups, in addition to their own space at the Las Vegas Convention Center. In terms of events, the association French Village organized a networking reception dedicated to the French-speaking community (Francophonie) of the CES, introduced by a speech delivered by CTA President Gary Shapiro who hailed the energy of French Tech.